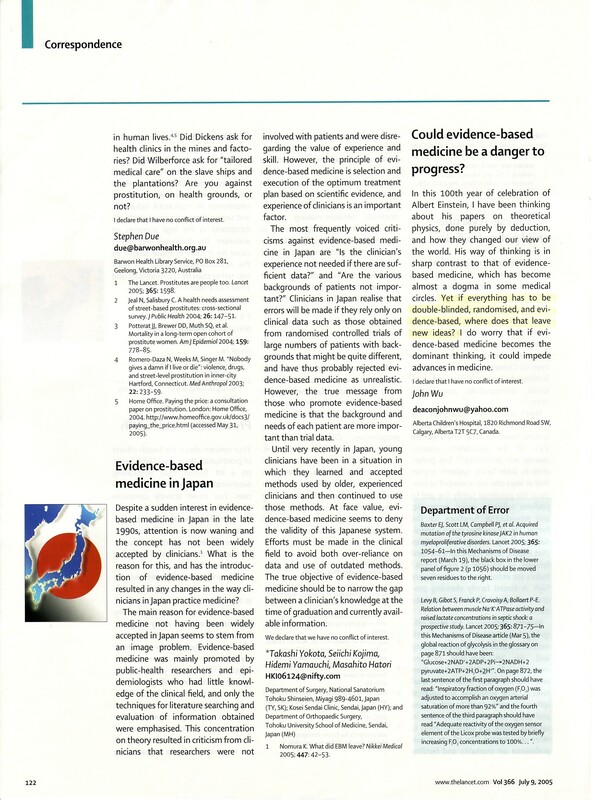 Could evidence-based medicine be a danger to progress? In this 100th year of celebration of Albert Einstein, I have been thinking about his papers on theoretical physics, done purely by deduction, and how they changed our view of the world. His way of thinking is in sharp contrast to that of evidence-based medicine, which has become almost a dogma in some medical circles. 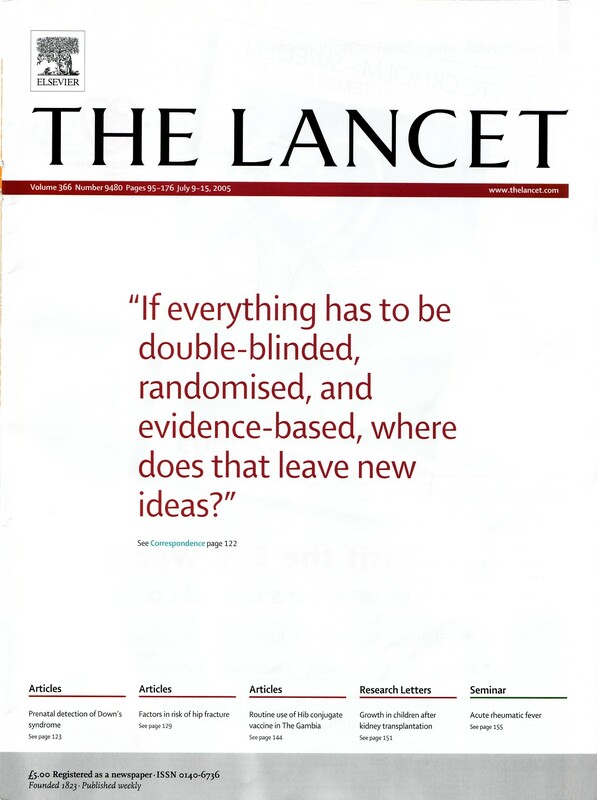 Yet if everything has to be double-blinded, randomised, and evidence-based, where does that leave new ideas? I do worry that if evidence-based medicine becomes the dominant thinking, it could impede advances in medicine.